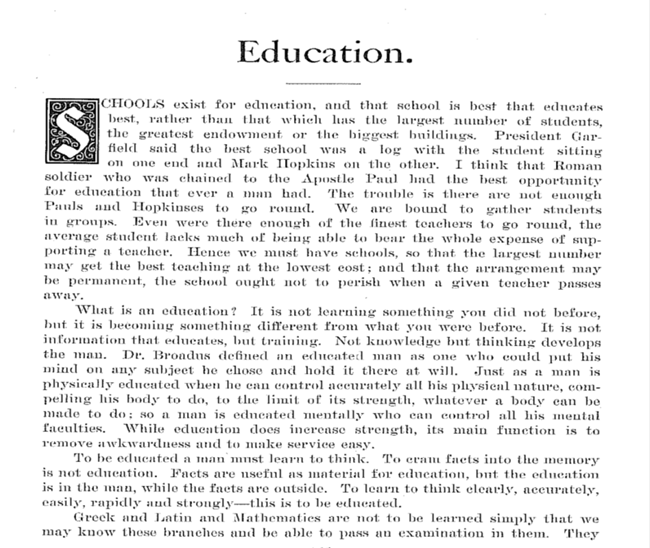 In honor of the beginning of classes for a new school year today at Union University, I am posting this brief essay by T. T. Eaton on education. This is taken from the 1905-1906 edition of Lest We Forget, the Union yearbook. 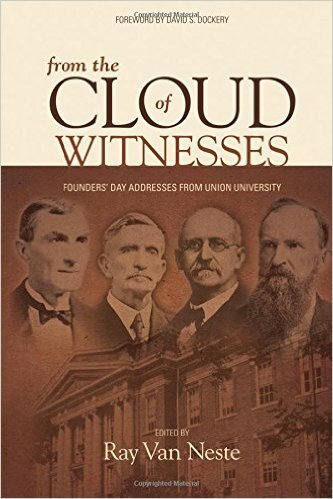 At the time of this writing Eaton was serving as a trustee of Union. Ben Mitchell recently shared this essay, and I thought it was a great statement on true education. I am honored to begin my fifteenth year of teaching at an institution which continues in its heritage of providing the sort of education described here. Eaton had quite a gift for expressing a good word. 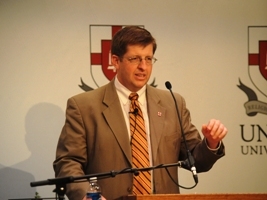 And without him, there would be no Union University.